Puma Propel Reviewed - To Buy or Not in Apr 2019? The Puma Propel is a lightweight neutral road running shoe. 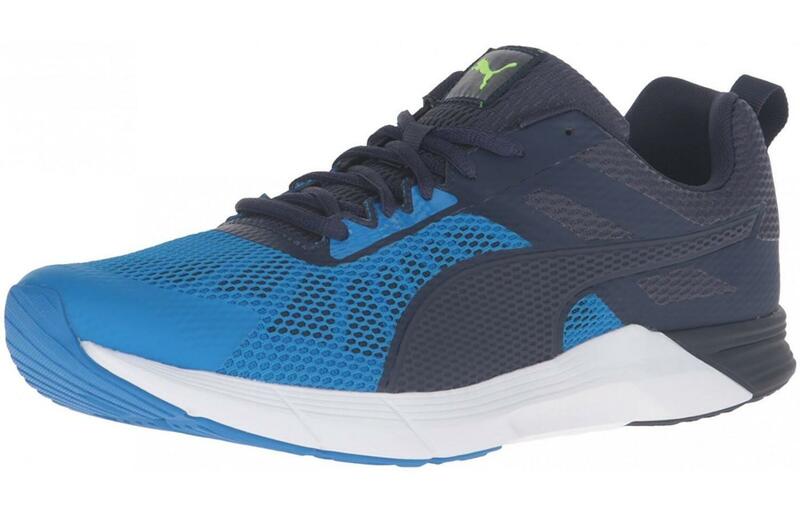 Like many Puma shoes, the Propel was designed to be lightweight while having a sleek and appealing style. It has a blown and carbon rubber outsole, an IMEVA midsole, and a textile and synthetic upper. The Transition Line that connects the heel and forefoot makes heel-to-toe transitions smooth and effortless. Its unique two layer mesh upper keeps the shoe breathable and lightweight with its outer layer, and its inner layer adds support and structure and helps keep out dirt. The Propel also uses a no-sew construction in order to prevent irritation and hot spots. It has a traditional lacing system to keep the foot secure and a heel loop to make it easier to put on and take off. Its light weight and construction make it ideal for running, cross-training and competitions, as well as a great choice for running in hot weather. 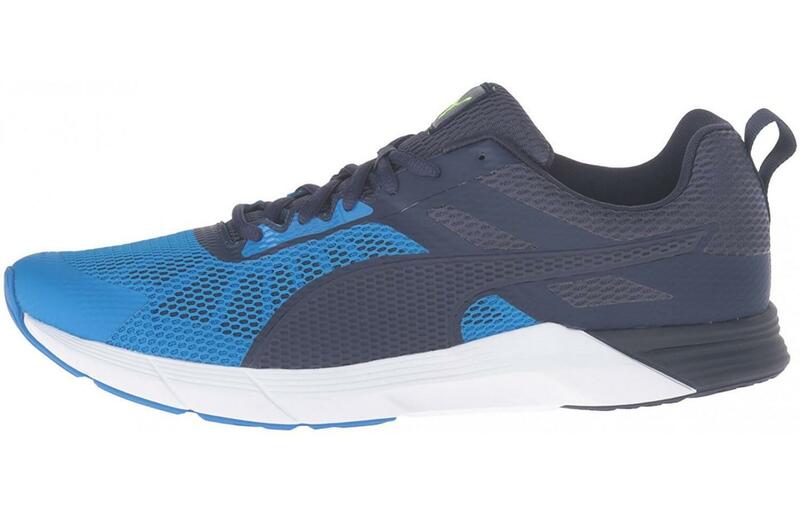 The Puma Propel’s attractive price also makes it a good shoe for new runners who want to try out the sport. The outsole is made from blown and carbon rubber. The more durable carbon rubber covers the heel and midfoot, which is ideal for heel and midfoot strikers, while the forefoot is covered by blown rubber for better traction. Transitions are smooth, thanks to the Transition Line that connects the heel to the forefoot: it has a kite-shaped indent in the heel and a line connecting it to the forefoot. The treads allow it to grip roads and other hard surfaces indoors and outdoors, and the grooves allow for flexibility and picking up speed. The midsole is made from injection-molded EVA (IMEVA) foam. It is both lighter and more durable than standard EVA foam, and provides a decent amount of cushioning and springiness. It is flexible enough to allow runners to pick up speed, which is important for races and competitions. The IMEVA foam also helps smoothen transitions, along with the Transition Line in the outsole, because it covers the entire length of the shoe. The heel-to-toe drop is 10mm, which is also good for responsiveness, and there is a small amount of support in the arch for neutral runners. The upper is made of textile and synthetic material, along with two layers of mesh. The textile and synthetic material are lightweight and flexible enough to move in but stable enough for neutral runners. The mesh is made of two layers: the outer layer with larger holes for breathability and keeping the weight low, and the inside layer for giving support and structure, and keeping dirt out of the shoe. The traditional lacing system comfortably secures the foot, and the toe cap protects the front of the shoe from objects in the road. Testers liked the heel loop, which made it easy to put the shoes on and take them off again. The interior is padded, especially in the tongue and heel collar, for support. The heel counter adds light stability. The upper is mostly composed of mesh, with overlays for structure, stability, and support. The entire upper uses a no-sew construction to help prevent irritation and hot spots, and it is durable enough to last many miles without wearing out. The men's shoe weighs 6.7 oz and the women's shoe weighs 5.9 oz. At less than half a pound per shoe, the Propel is very lightweight and easy to move around in, which makes it ideal for running as well as activities that involve side-to-side movements, such as aerobics. The reason for the low weight is the use of blown and carbon rubber in the outsole rather than using only the heavier carbon rubber, using IMEVA foam instead of standard EVA foam in the midsole, and the lightweight synthetic materials and high amount of lightweight mesh in the upper. The Puma Propel is extremely breathable, except in wet conditions. The two layers of mesh do a great job of keeping moisture out of the shoe, and allowing air to travel into the shoe and around the foot. The first layer is very open and the second layer has smaller holes but still lets air in. The no-sew construction means that there are no stitches for air to get trapped under, which can cause blisters, hot spots, and discomfort. The only problem that testers had was because there was so much mesh, there was not very much protection from rain and humidity, so it cannot keep water out. The Propel has a very comfortable fit. The IMEVA foam in the midsole and soft rubber in the forefoot of the outsole provide good cushioning and responsiveness, and the padding in the upper adds a comfortable amount of support to the fit. Most people liked the feel of the shoe, but some noted that the Propel does not have as much padding as some other shoes, so some runners might need a shoe with additional padding, or to wear an insole. Most testers found that the shoe fits true to size. It is only available in normal, or medium, width and has a standard fit, so runners with wide or narrow feet may need to either size up or down, or choose another shoe. The breathability allows the feet to stay cool, dry and comfortable even in hot weather, although the liberal amount of mesh means that it can absorb water when it is wet outside, which many people find uncomfortable. Also adding to the comfort are the light weight, which make the shoe easier to move around in, the drop that helps propel the foot forward, the lacing system that gives a snug fit, and the heel loop that makes it easier to put the shoe on and take it off. The Puma Propel has a great look that was liked by many reviewers. Puma was going for a sleek style, and they achieved their goal with three popular color choices for men and four for women. The men's shoe comes in a choice of Electric Blue Lemonade/Peacoat/Puma White, Red Blast/Puma Black, and Electric Blue/Lemonade/Safety Yellow. Women can choose between Periscope/Puma Black/Puma White, Red Blast/Royal Blue/Puma White, Puma White/Quarry/Pink Glow, and Quarry/Periscope/Red Blast. The upper is mostly made of mesh and the colors are neither too vibrant nor too dull. This shoe is good for everyday use, running, and other sports. The Propel has a good level of durability, lasting for up to a few hundred miles before wearing down. The outsole uses carbon rubber in the heel and the midfoot: the high-impact areas, and the carbon rubber in the forefoot also has a good amount of durability. The IMEVA foam in the midsole is durable in that it can maintain its shape and springiness for many runs. The upper is also durable, with the synthetic and textile materials and inside layer of mesh keeping the structure, and the outside layer of mesh also being durable. The only problems with durability come when the shoe gets very wet, as it absorbs water. The Pupa Propel offers some protection for road runners. The outsole and midsole cushion the foot and protect against rocks, sticks, and objects in the road. The toe cap protects against accidental stubbing on rocks, curbs, cracks, or bumps in the road. The two-layer mesh protects against heat and the entire upper protects against wind. The inner layer of mesh helps keep dirt out. The upper does not protect against rain, as it tends to absorb water due to the high surface area covered in mesh. True to its name. the Propel has good responsiveness, which, along with its light weight, makes it ideal for competition. The outsole has carbon rubber in the heel and midfoot for smooth landings, blown rubber in the forefoot that helps spring the foot back into the air, and the Transition Line connects the heel and forefoot in order to make transitions effortless and smooth. The midsole's IMEVA foam has a lightly springy feel and the drop helps propel the foot forward, and the upper is flexible yet stable enough to allow the foot to move normally. The Puma Propel offers a neutral amount of support. The outsole and midsole lift the foot off the ground, and the IMEVA foam in the midsole supports the bottom of the foot by cushioning and forming to its shape. The upper has inside padding, especially in the tongue and heel collar, and laces and overlays to provide a snug fit. The level of arch support is neutral, ideal for neutral runners with medium to high arches who do not need extra arch support. As a road running shoe, the Propel was designed to go on hard, flat surfaces. Wearers can walk or run on paved roads, dirt roads and light trails. It was also designed for cross-training, meaning it can be worn indoors on hard gym floors. It was not designed to go on wet or slippery terrain. The Puma Propel has a good price that make it a popular choice for new runners, seasoned runners, and those in between. When it was first released, it was 35% cheaper than the average running shoe. 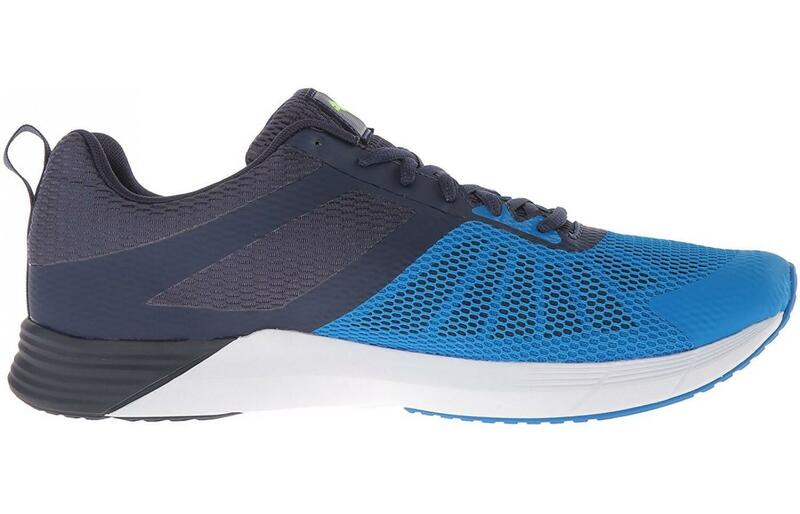 Its two-rubber outsole with a transition line, IMEVA foam, two layers of mesh, no-sew design, and popular style and color choices make it a good deal for a full price shoe, but as a lower priced shoe, it's a great deal. Because it was released a couple years ago, retailers are now selling it for anywhere from half its original price to 33% more than its original price. As a road running and cross-training shoe, the Propel has treads for gripping hard surfaces such as roads, paths, light trails, and gym floors. The blown rubber in the forefoot is especially good at gripping those types of surfaces. Its grooves allow wearers to pick up speed or go up or down hills. Testers found that the Propel does not get good traction on wet terrain, and it lacks the lugs or spikes required to go on slippery terrain. The Puma Propel has just the right amount of flexibility allow wearers to pick up speed in races and competitions, but enough stability to keep most neutral runners from getting injured. The grooves in the outsole let the bottom of the shoe bend with the road. The IMEVA foam moves as the foot does, and the synthetic and mesh in the upper allow the top of the foot to move naturally. The Propel has a light amount of stability. As a neutral shoe, it was designed for neutral runners who do not over-pronate, and is more flexible than stable. It has a small amount of arch support for stability, but not enough to prevent heavy over-pronation. The heel counter helps keep the foot from sliding or rolling, and the supportive and snug-fitting upper also help keep the foot stable. The Puma Propel has a standard-range 10mm drop. 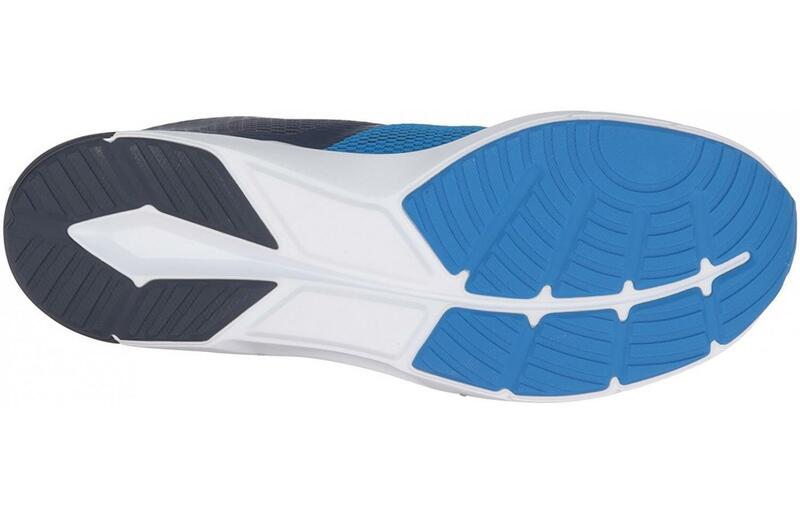 This means slightly more cushioning in the heel, nice for heel strikers, and a slight forward push on landings. A 10mm drop is a good choice for entry-level runners because although low and no drop shoes strengthen muscles and tendons, they can make feet sore for those who are not used to them. The Puma Propel is a great running shoe. It is very lightweight, comfortable, breathable enough to run in hot weather, responsive enough to pick up speed, flexible enough to move comfortably either forward and backward or side-to-side, and stable and supportive enough for neutral runners. It has a popular style and a great price for all its features. The only negative things are that it does not do well in wet or humid weather or going over wet terrain. Injury-prone runners or runners with plantar fasciitis may want more padding, and over-pronators will want a more stable shoe. Overall, the Puma Propel is a great shoe for daily runs, everyday use, races and competitions, and can be worn by anyone from new runners to runners who have been running for many years.